What’s the first thing that you notice before entering someone’s house? That would be the front door. 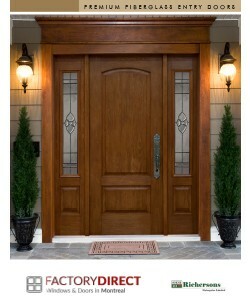 An entry door must be inviting; therefore, a new door installation might be a wise choice at some point in time. Besides its purpose of keeping you safe while indoors, cost also comes to mind when thinking about the right investment. A durable yet beautiful entrance door will add to the value of your property. Fiberglass can give you just the right amount of style and security at the right price. 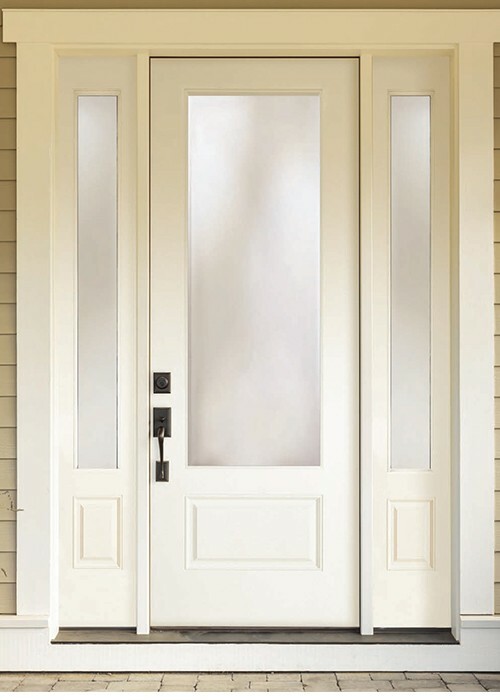 It is a longer-lasting, sturdier, and safer option for your front door. When you think about longevity, fiberglass is an extraordinarily strong and long-lasting material. It has countless positive features – from being lightweight and easily molded into different complex shapes, to having mechanical strength, resilience, and even more resistance than steel! Additionally, it is absolutely rust-proof, rot-free, incombustible and resistant to dents and scratches. Fiberglass’ integrity is kept as is throughout all four seasons and weather conditions. 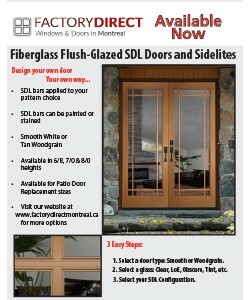 Your new fiberglass doors will definitely last longer than wood, steel, and others. You won’t have to replace your door anytime soon, cutting down on resources wastage. Moreover, prepare to save on your energy bill in the long run with the improved level of insulation that fiberglass doors provide. 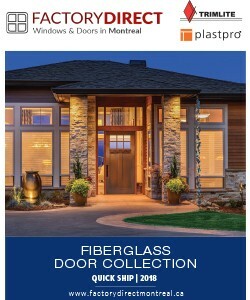 It’s no secret that fiberglass and decorative glass doors are seen as some of the more attractive options for new door installation. 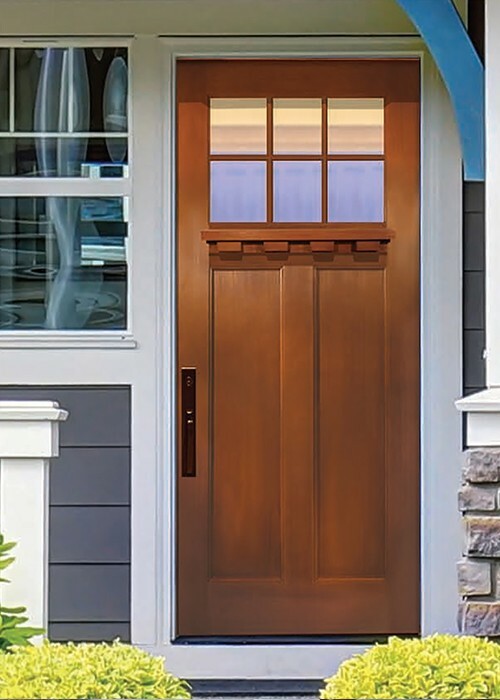 While wood reigned over the past decade over most materials used for front doors, materials such as fiberglass have become flexible enough to be manufactured with varying designs. Some even mimic the image and textures of materials such as wood itself. 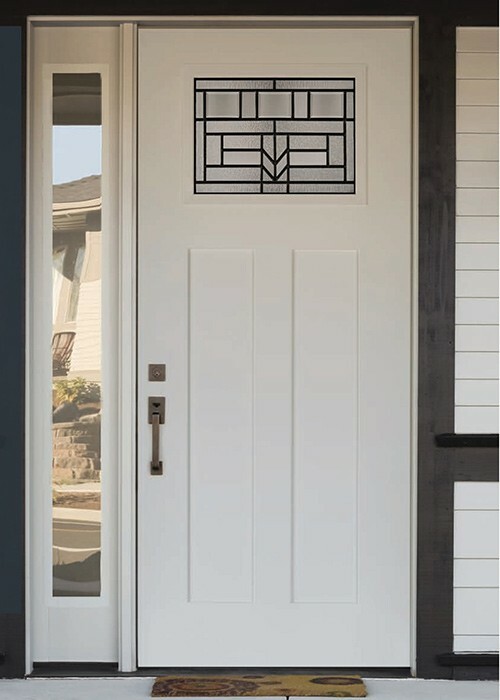 In the past, using wood for entry doors was common, but recent homeowners have opted for a more delicate look – fiberglass doors or decorative glass doors give your house a personal touch. 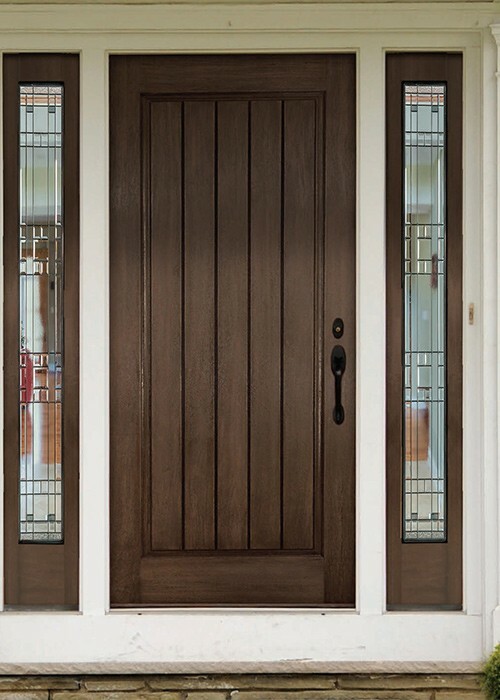 By using fiberglass, one can maintain the classic wooden door designs while avoiding the tedious maintenance routine of repainting and refinishing. 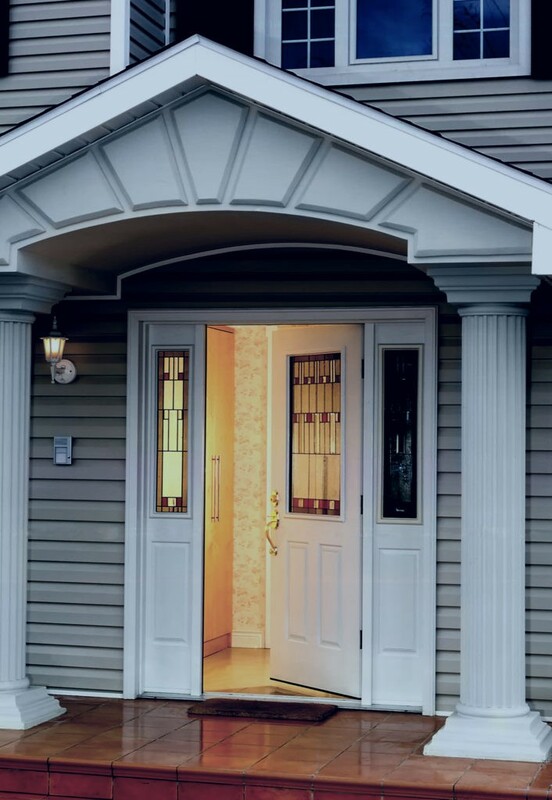 You can give your house a modern and refreshing look by making this simple change – upgrading your entrance door to fiberglass. The customization options are innumerable. This door style also lets more light in, making your home interior feel brighter and more spacious from the inside. You can amp up your front entrance design while feeling secure in your home and staying environmentally friendly. When it comes to heavy-duty construction, you won’t want an amateur to do the job. While the DIY option to home renovation may prove less costly, a faulty installation can cost you more than you bargained for. Don’t settle for less. 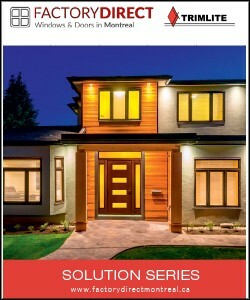 Opt for the best and get an expert with years of practice to correctly install your doors. Our professional team at Factory Direct has over two decades of experience in the field. 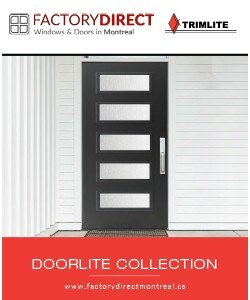 You can get help with your doors or windows installation by getting in touch with Factory Direct Montreal; dial 514-387-0001 or contact us via email at info@factorydirectmontreal.ca. We can provide you with an advice from an expert and an estimate free of charge on the door project that you have in mind. Itching to get that new door installation? Contact us and install safer and better doors. We are here to give you a peace of mind! 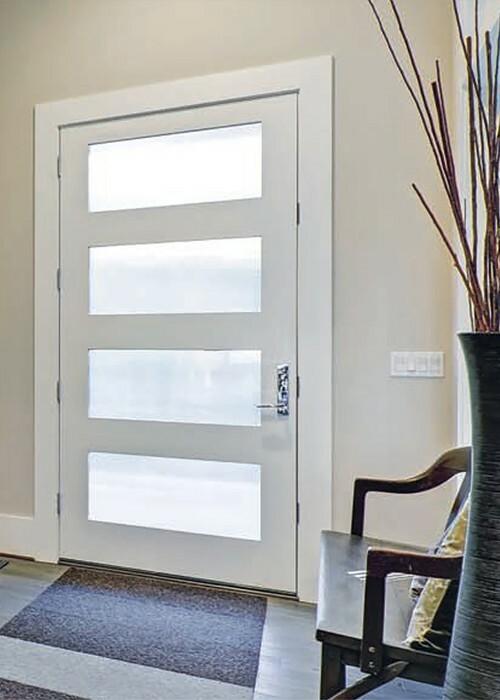 One of the many advantages of fiberglass doors is the endless possibilities of customization. These doors come in a variety of different colors, shapes, and textures. 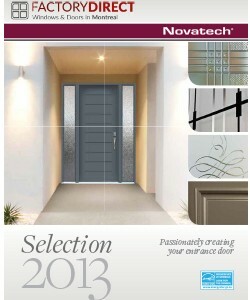 From colonial to modern styles, wood-like or with decorative glass options, caming inserts or wrought-iron. Explore our different catalogs to find the style that you like the most, or contact us for any other requests. Not convinced? We offer manufacturing and installation services of different types of doors. Feel free to seek an advice from us to find out what will be the door that will work best for your needs or browse our website to see the options we offer. See our entrance doors, exterior doors, French doors, residential aluminum doors, decorative glass doors, wrought-iron doors, sliding doors or garage doors pages.